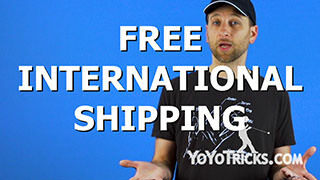 Stay up to date with new information about the upcoming Mideast Regional Yoyo Contest, product updates, and a new Instagram contest. 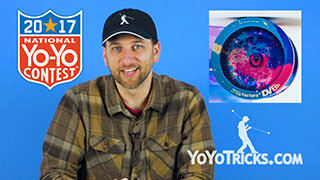 Monday Morning Update (In the Afternoon) – Yoyo News 7-3-17 Yoyo TrickThis is the YoYoTricks.com Monday Morning Update, in the afternoon. 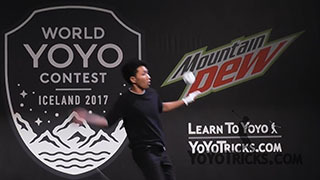 Our lead story tonight is the Mideast Regional Yoyo Contest which is taking place on July 8th at the Indianapolis Popcon. It is being held at the Indianapolis convention center. Early registration has already closed for all of you su——This just in, it appears as though early registration has been extended to Tuesday, July 4th. That’s tomorrow, the day after today, at midnight for the regular price of $40, which includes entrance into the convention. Late registration costs $80 and closes on Thursday, July 6th at midnight. No registrations will be accepted after that time. 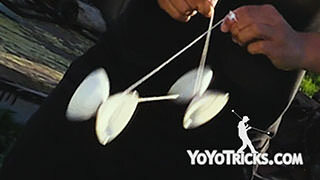 If you have registered but have not uploaded music by the 6th, a song will be chosen by the YoYoTricks.com team, who is partial to 80’s music, girl power bands, and music from the cinematic universes of Tim Burton. 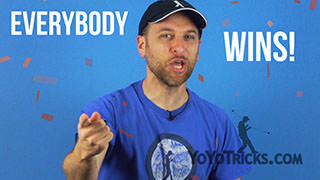 In upcoming videos this week, on Wednesday we have the final video from Cory Hendon in the Front Style Speed Combo Series, where he will be discussing the theory of how to practice and develop your own speed combos based on what he already taught you in the series. 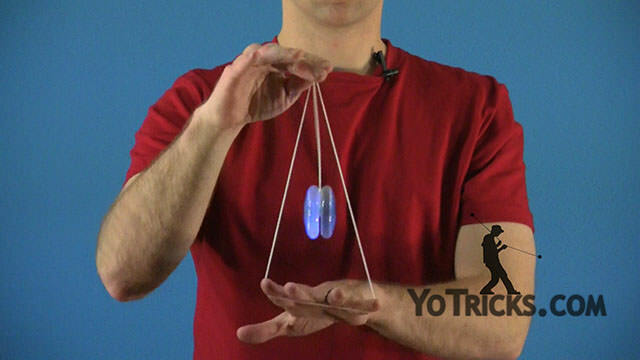 On Friday we will have the second tutorial video in the Sean Perez Offstring Tutorial Series featuring the new Duncan Pandamonium offstring yoyo. 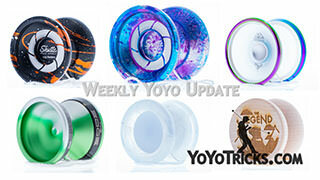 In other news, YoToy Images, who is famous for his pictures of exploding yoyos has created his own line of stickers exclusive to YoYoTricks.com, great for accessorizing computers, yoyo bags, or any porcelain you may come across in your yoyo travels. Jake, what else do you see on the product forecast this week? 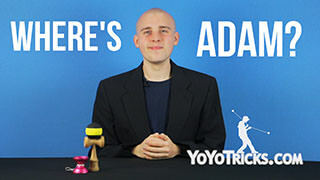 Thanks Adam. We it’s summer here in Michigan and things are really starting to heat up. So it’s time to get outside, get some sun, and participate in everyone’s favorite outdoor summer activity. That’s right, practicing 2A. 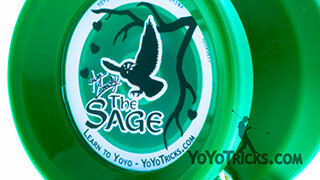 We have two hot new Oracle colors: White and Green. 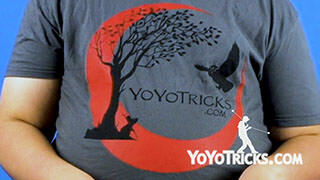 Available now on the YoYoTricks.com store. Now if cold weather is more your thing, why don’t you pack up your stuff, grab your Atlas, available now in three new colors on the YoYoTricks.com store, and fly on over to Europe. 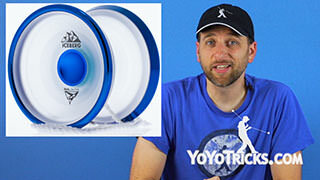 Which was the inspiration for the yoyofactory Czech Point Pivot, which is the finger spin sensation that is sweeping the nation. Now to get over to Europe, you just might need to fly on a Jet – Set EG. That’s right. 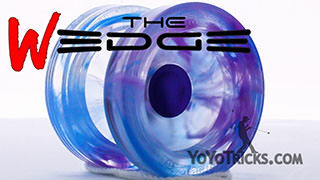 We have three new JetSet EG colors available now on the YoYoTricks.com store. 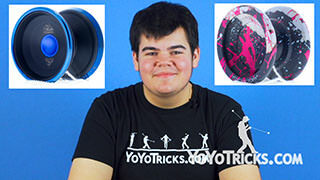 Two of which you might have seen coming, one of which you definitely didn’t, because it is the Black-on-black Stealth JetSet EG edition yoyo, available for a limited time on the YoYoTricks.com store. Now, if you are anything like me and you get a little bored when you are on a flight, why don’t you pick yourself up a Fidget Spinner. That’s right. We have plastic fidget spinners and metal fidget spinners available now on the yoyotricks.com store. And we are not going to talk too much about that, we promise. So why don’t you get yourself a window seat, so you can look out and see the Sky-vas. That’s right. 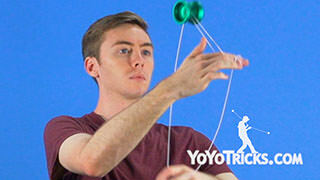 We have Metal Skyvas available now on the yoyotricks.com store in Black and in White. 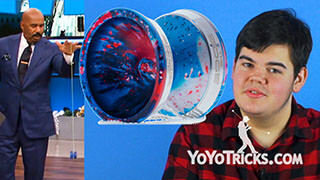 And that’s it for our weekly product forecast of this week, so back to you Adam. Thank you Jake. 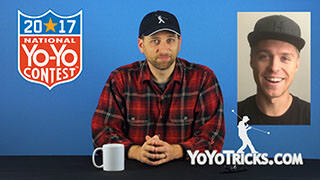 now he have our new contest correspondent who has a special announcement not just about the mideast regional contest, but also another contest that might be taking place right in your living room. Chris? 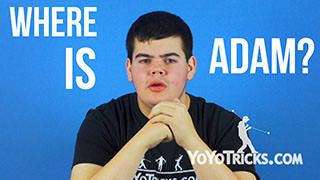 Thanks Adam. But first, you guys have been giving us the Q’s, and we are bringing the A’s. 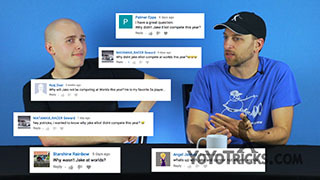 Leave your questions in the comments section of the latest Monday morning update, we may answer it right here next week. 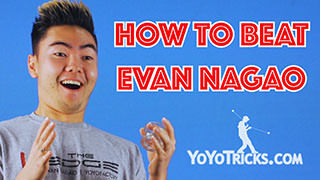 And now, you guys have been asking for it, and its finally here. 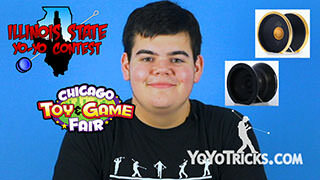 YoTricks is running a contest! 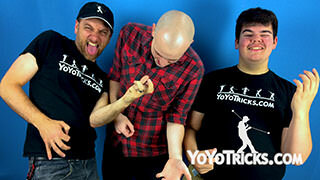 This week’s theme is Rock the Baby. 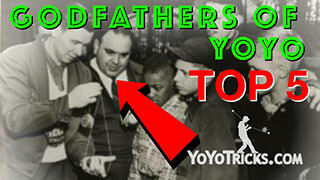 To be entered, you must upload a video to instagram of yourself doing rock the baby using the hashtag #YoTricksContestRTB. Of course, you will get extra points if you are doing rock the baby palm down. Your account must be set to public in order to win. 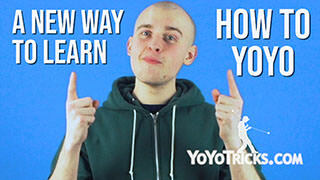 We will announce the winner in next week’s monday morning update, in the afternoon, where your video has a chance to be featured, so make sure it’s interesting, and good luck! Thank you Chris. Well that is all the time that we have for you. 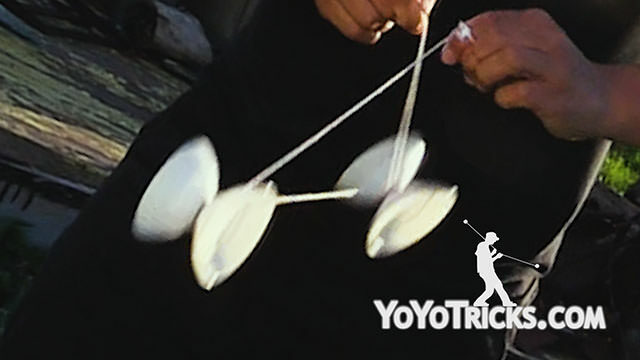 All of us at YoYoTricks.com would like to wish you a great week, where none of your strings break, and the mail comes early. This has been Adam Bottiglia with the Monday Morning Update in the Afternoon, signing off.